Marketers and PR agencies should closely review the FAQs, in addition to recent enforcement actions, before engaging in online influencer campaigns. Continuing its increased scrutiny over online endorsements, last month the Federal Trade Commission settled with Warner Bros. Home Entertainment over claims that it failed to disclose that it paid various prominent YouTube influencers to promote the video game Middle Earth: Shadow of Mordor. This high-profile settlement demonstrates that the FTC will continue to make this a priority with more enforcement actions expected. 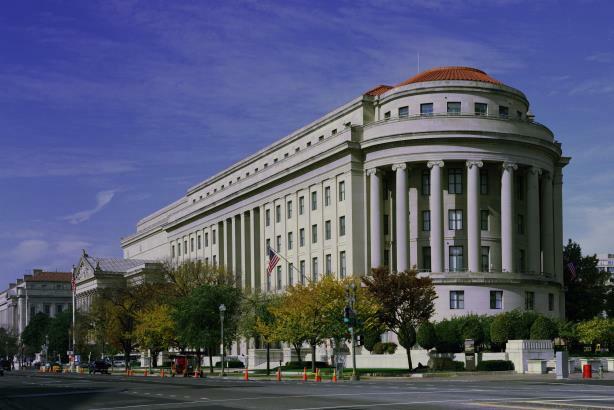 Marketers and public relations firms should pay close attention to the FTC’s recent guidance to ensure paid endorsers are making adequate disclosures and being properly monitored. In late 2014, Warner Bros. and Plaid Social Labs, its advertising agency, implemented an online marketing campaign intending to generate buzz within the gaming community for the release of the fantasy role-playing game Middle Earth: Shadow of Mordor. Warner and Plaid Social Labs contacted popular online influencers and asked them to create gameplay videos and promote them on YouTube in exchange for monetary compensation and an advance copy of the game. The FTC alleged that Warner Bros. failed to ensure that the influencers adequately disclosed that they were compensated to post about Shadow of Mordor. The FTC also alleged that Warner Brothers failed to monitor the influencers to ensure compliance with FTC rules. In fact, Warner Bros.’ actions were in direct conflict with guidance set forth by the FTC in their endorsement guides. For one, the FAQs state that disclosures for endorsement videos should appear "clearly and prominently" in the video itself, and not in the description box below the video. The reasoning is that "it’s easy for consumers to miss disclosures in the video description," since many watch the video without even seeing the description page. Although, Warner Bros. did instruct the influencers to include disclosures, that was not adequate because Warner Bros. instructed the influencers to include the disclosures in the description box below each video. The FAQs also explicitly state that when an influencer is given both early access to a video game and compensation to review the game, both forms of compensation must be disclosed. The FAQs state that "[i]f you get early access, you can say that, but if you are paid, you should say so." The FTC’s complaint against Warner Bros. alleged that in some cases, the influencers disclosed only that they had received early access to Shadow of Mordor, but failed to disclose that Warner Bros. also had paid them to promote the game. Lastly, the FTC was persuaded by the fact that Warner Bros. not only had pre-approval rights over the influencers’ videos, but also exercised that right on at least one occasion, reviewing and approving a video that lacked an adequate disclosure. The FTC therefore determined that Warner Bros. failed to adequately monitor their influencers. As stated by the FTC in the FAQs, "[marketers] need to have reasonable programs in place to train and monitor members of their network," in order to "instruct members of the network on their responsibilities for disclosing their connections to you." According to the FTC, Warner Bros.’ failure to properly instruct or monitor their influencers misled consumers by suggesting that the influencer videos reflected the "independent or objective views of the influencers." As the use of celebrity and online influencers by advertisers continues to increase, the FTC will continue to monitor such practices in order to ensure consumers know if reviewers are providing their own opinions or paid sales pitches. As stated by the FTC in the Warner Bros. press release, "[c]ompanies like Warner Bros. need to be straight with consumers in their online ad campaigns." The Warner Bros. case is only the latest in a trend of increased scrutiny by the FTC over marketers’ use of online endorsers. The case reaffirms the importance of remaining vigilant in ensuring endorsers properly disclose that they are being compensated to post on the marketer’s behalf. Marketers and PR agencies should closely review the FAQs, in addition to recent enforcement actions before engaging in online influencer campaigns. They should know that failure to comply with the FTC’s recent guidance not only hurts their clients but puts their own firms at reputational risk. Michael Lasky is a senior partner at the law firm of Davis & Gilbert, where he heads the PR practice group and co-chairs the litigation department. His colleague, Truan Savage, assisted with this article. Lasky can be reached at mlasky@dglaw.com.